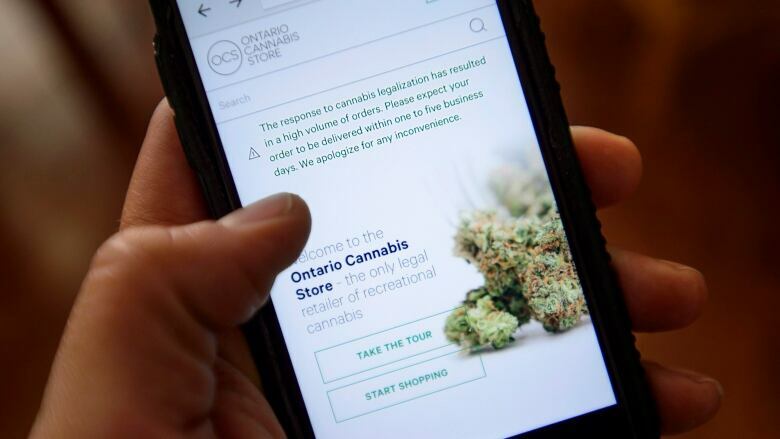 The Ontario Cannabis Store says it has received about 100,000 online orders in the first 24 hours that marijuana was legal in Canada. The government-run OCS says 12,000 of those orders came within the first hour after legalization Wednesday morning. The OCS says the website launch has gone off without service interruptions and has seen more than 1.3 million unique visitors in the first 24 hours of operations. It says customers started to receive marijuana orders on Thursday. OCS president Patrick Ford says he is amazed by the volume of sales.